Pacific Crest is proud to be a community bank, and to us that means supporting and serving not only our clients, but also the greater community. Whether it’s assisting children’s causes and organizations like Clothes for Kids and Seattle Children’s, or helping the Jewish Federation of Greater Seattle and Housing Hope support our neighbors, we are dedicated to contributing to those around us. We’re always happy to hear about opportunities to serve. Please contact Selam Birye at sbirye@paccrest.com for more information. Pacific Crest encourages giving from within by matching the generous donations that our employees make to our community. Pacific Crest and its employees are proud to be long-time supporters of United Way of Snohomish County. As a local nonprofit organization, United Way focuses on helping kids succeed, building stronger families, enabling older adults to live independently, supporting those with health and disability issues, providing relief in crisis and creating vital neighborhoods. Pacific Crest proudly supports Housing Hope as they combine affordable housing with tailored services such as life-skills training, childcare, case management, and employment services to reduce homelessness and poverty for residents of Snohomish County and Camano Island. Housing Hope also offers homeownership opportunities for low-income individuals. 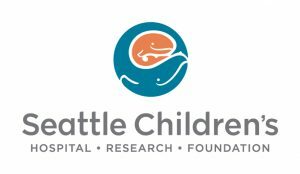 Seattle Children’s mission is to provide hope, care and cures to help every child live the healthiest and most fulfilling life possible. They provide the finest health care to children regardless of a family’s ability to pay. Pacific Crest is dedicated to, and supports the children of our community through its Preston Kuppe Guild sponsorship which benefits Seattle Children’s research and uncompensated care fund. Clothes For Kids provides school clothing to students in our community who are eligible because their families qualify for free or reduced meals at school. They serve Snohomish County and the Northshore School District. The Jewish Federation of Greater Seattle leads a strong Jewish Puget Sound by serving as community voice, strengthening connections to Israel and World Jewry, and making investments in Jewish life, for today and the next generation. In tribute to our co-founder John Fairchild, we are honored to support Alzheimer’s Association. They are the leading voluntary health organization in Alzheimer’s care, support and research. 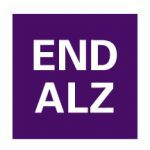 Their mission is to eliminate Alzheimer’s disease through the advancement of research; to provide and enhance care and support for all affected; and to reduce the risk of dementia through the promotion of brain health. Presented by the Preston Kuppe Guild with all proceeds benefiting Seattle Children’s research and uncompensated care fund. 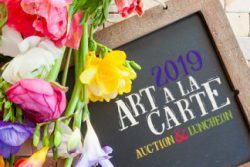 Visit their website to learn more about Art a la Carte. Pacific Crest is a Premier Sponsor at Housing Hope’s annual fundraising event. Visit their website to learn more about Stone Soup. We are giving back to our community by having our third fundraising and clothing drive! From August 26 to September 13, 2019 we will be accepting financial donations and gathering new clothes to help kids get ready for the new school year. Stop by to place donations in our collection bin or to make a financial donation. Click here to donate online.